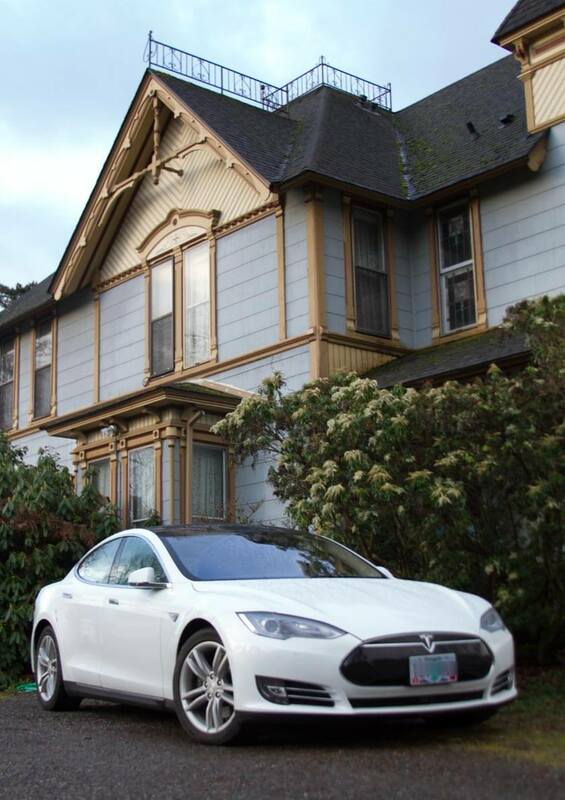 Most government workers do not immediately think of a Bed and Breakfast when looking for a hotel, motel or lodging. However quite a few do! 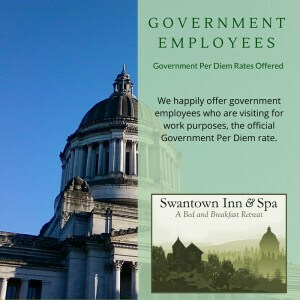 Ours, the Swantown Inn & Spa, happily accepts the Olympia Government Per Diem, for both lodging and breakfast. The Government Per Diem is for one person in a room. The rate for the room does not cover breakfast. This is covered by the food per allowance. We bill it as a separate line item for you. We allow the government per diem in the Columbia, Deschutes and Percival rooms. You are still subject to our cancellation policies. 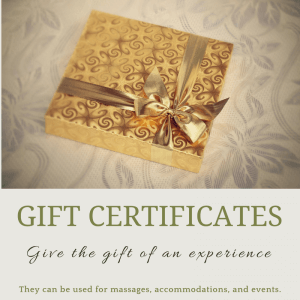 Our regular rates for two people with breakfast is roughly $20 to $30 more than the per diem. We work with you to make sure you get to your meetings on time, with our regular breakfast served with plenty of time to enjoy it. We have great WiFi. Business travelers often comment how much better it is than local hotels. 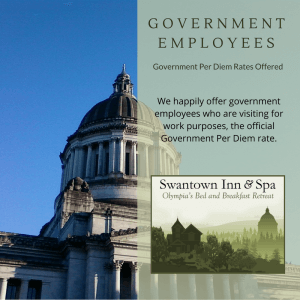 GSA per diem rates can be found at the federal GSA web site. A very high percentage of our government travelers become regular guests. We love that! 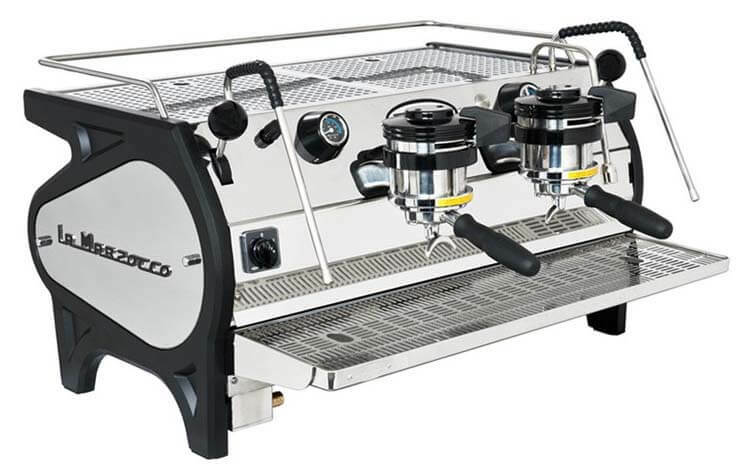 We look after all of guests equally, but we really love to get more regulars. If you are worried about parking it is only 1.1 miles to the Capitol Campus. you can walk quite easily, or we can drop you off.